Only thenceforth, he becomes competent for the Hazoori of God. It should be in knowledge that the Murshid-e-Naqiseen (Imperfect Guides) are also many and the blindfolded and idiot Seekers are also countless. Such Seekers use to be big while Murshideen use to be small, who are ignoramus (unaware) concerning the Marifat of God and the Roshan-Zamiri. There are many ways of Talqeen but that Talqeen, which is issued through the Visualization of the Name-Allah-the-Essence (Ism-e-Allah-Zaat) , only that with Taufeeq and with Tahqeeq. This is way of the Seekers the People of Tasdeeq which is based upon truth. 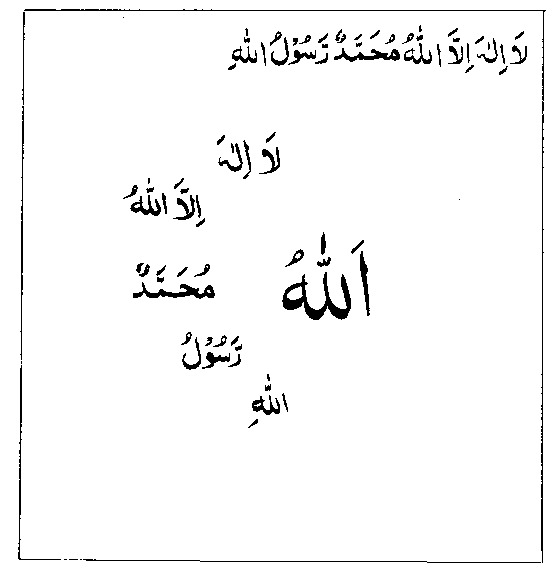 What is meant to say is this that there are many who are desirous to Musakhar the people and [accumulate] wealth and the perplexed Dunya (World) [by bringing the Jinn and Hamzaad (Wraith) etcetera under the ability of control] through the satanic carnal Visualization and also the Murshideen the People of Bidat of Istadraaj are innumerable. The particular category of the People of Visualization exercise the extraordinarily unique Visualization inside brain in head. The Master of such type of Visualization is called "the bondman of the Ruh of the Anwaar Unremittingly honored with Didaar" (Banda e Ruhul Anwaar Dawaam Musharraf Didaar).